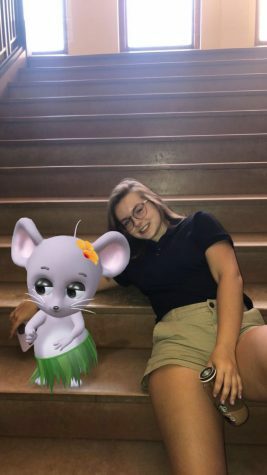 Allison (Allie) Picha, known as the girl who is frequently late to most of her classes, is a senior at Cotter, and is the youngest child in her family. Allie is currently a varsity volleyball captain, and during the summer she enjoys selling corn with her family from their corn stand. When Allie is outside of school you’ll either see her shopping at Target, eating Chinese food at the Great Hunan, or watching TV at home. If anyone could play Allie in the movie of her life she said she would love if it could be Paul Blart, from the movie Mall Cop. When Allie graduates she would like to go to college in either Minnesota or Wisconsin and become either a police officer or a nurse.